Isaac has more than fourteen years of professional and educational experience in financial services. This experience includes more than eight years as a financial planner here in Portland, Oregon. Holding a Bachelor of Science in both Financial Services and Financial Accounting, he has the knowledge and experience to help you build a plan for financial success. As a managing partner of Pride Financial Partners, Isaac has the resources necessary to help you work toward a sense of Pride when it comes to your financial future. Among a wide array of financial products, he specializes in wealth accumulation using individual securities, mutual funds and various other investments types. He is motivated to tackle these responsibilities because a number of people closest to him have been hurt physically and financially by a lack of retirement and protection planning. Isaac works with clients either on a fee-for-service basis while creating a holistic and comprehensive financial plan, or on a single-need basis for product purchases. He typically sits down face to face with you for an extensive goal planning session, which will help determine your best plan of action. Isaac then works side by side with you to implement that plan. 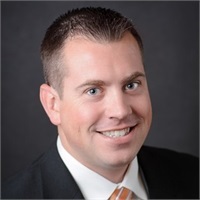 Isaac serves as the President for the Portland New Generations Rotary Club, is a board member of the National Association of Insurance and Financial Advisors (NAIFA) and chairs the Young Advisors Team of Oregon (YAT). He is also a proud supporter of a number of non-profit organizations; PHAME, Our House, MS Society, Friends of the Children, Q Center, Mt Hood Kiwanis Camp and many more.